PAINLESS PIER C INGS. FANCY DRESS FUN FOR KIDS AND ADULTS WITHOUT THE PUNCTURE WOUNDS! PLASTIC CLIP-ON SLEEPER RINGS. Get the look of pierced ears without the holes. Spring Action Loaded Clip On. 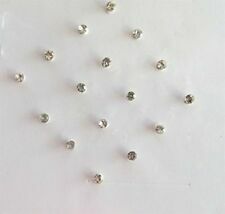 Non-Pierced Earrings. Have fun in these fashion earrings! The lightweight hoop earrings have 12 colors available. Clip-on earrings are as stylish, fashionable, affordable and easy to wear. Children/kids may also prefer clip earrings as these accessories are usually small, cute and playful to wear. They are great accessories to match their wardrobe. There is no need for children to have pierced ears, most clip earrings for children are small and gentle. .
Criss Cross Ear Cuff, Ear Wrap. STERLING SILVER CLIP ON CHEATER CUFF. Ear, or Nose. Silver Ear Cuff, Punk Jewelry. 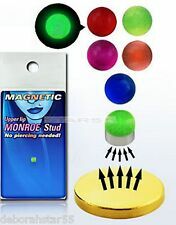 Easy to fit, ideal on your ear of lip. Fake Ear Cuff, Non Piercing, Cosplay. Boho Jewelry, Fake Piercing. ORBITAL, HELIX, LIP. Criss Cross Ear Cuff, Ear Wrap. Fake Ear Cuff, Non Piercing, Cosplay. Boho Jewelry, Fake Piercing. Silver Ear Cuff, Punk Jewelry. Easy to fit, ideal on your ear of lip. Ear, or Nose. Nose Ring Hoop- Non Piercing. Ring Hoop Non Piercing. 0.5 mm Sterling Silver Nose. Clip On 3 BALL TURQUOISE. 100% Sterling Silver. I can state your item it 100% Sterling silver (if it applies to your item). 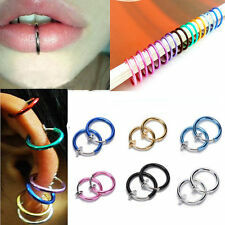 20PCS Spring Clip On Nose Ring Hoop Lip Ring Helix Ring Hoop Fake Ear Ring Hoop.